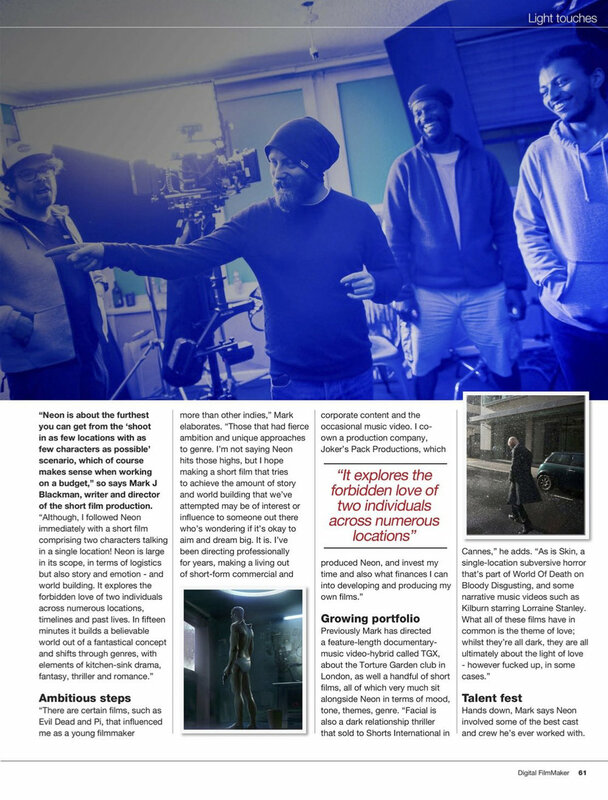 In the May 2018 issue of Digital Filmmaker Magazine there's a stunning 8-page spread about NEON - read the full article below! It includes amazing shots of our crew at work, including the unique special effects created by Dan Martin. It's a brilliant magazine, so get subscribed here. Featuring BTS photography by Ila Desai, Guy Armitage and Roxanne Holman, production design photos (on the location wall) by Samuel Dore, Louis Leeson and Mark Blackman, our poster design by Daniel Anscombe, and concept art by Marco Caradonna.